There are many misconceptions about recruiters that seem to persist, despite numerous written works attempting to debunk them. Some people think a recruiter's day consists of emailing resumes out en masse and desperately blowing up phones, trying to create as many matches as possible. If it’s as simple as that, consider me Miles Davis. The best recruiters, however, establish long-lasting relationships with both their candidates and their clients. Their unrivaled communication skills help them cultivate incredibly valuable networks of professionals that assist them throughout their entire careers. To be successful in the world of recruiting, an advanced attention to detail is required, in addition to strong negotiation abilities and the aforementioned communication skills. Many people know little about recruiters due to their limited interaction with them. We’ve all been contacted by one in our lifetimes, but the specifics of their jobs generally remain a mystery. Naturally, this has led to a fair amount of misconceptions about the profession. 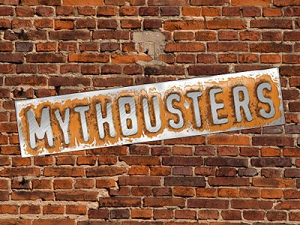 Since recruiters are such a misunderstood breed, it is worth delving in and examining some of the most pervasive recruiting myths out there today. This is one of the easiest myths out there to disprove with hard statistics. In recent years, social media platforms like LinkedIn, Facebook, and Twitter have completely transformed the way recruiters find and engage with candidates. In fact, a 2012 study found that 12.5% of candidates are recruited via social networks, and that figure is only growing. That same study found that among recruiters, 86% use LinkedIn to source candidates, 60% use Facebook, and 50% use Twitter. Additionally, on the candidate side, incriminating or embarrassing posts and photos can be gigantic hindrances to being recruited, so not only are these services helping recruiters find who they should be recruiting, but who they should not be recruiting as well. Most people believe that recruiters are at the beck and call of their candidates, furiously trying to find job opportunities for them around the clock. This, however, is not true. As Tony Palm, president of Military Professionals, LLC., says, “Recruiters do not find jobs for people, we find people for jobs. Big, big difference.” Recruiters may connect with and submit candidates for one job, but that does not mean they are contractually obligated to place them in a separate role should they not earn the job. Many recruiters, like the ones who use RecruitiFi, have developed strong, long-lasting relationships with their candidates, most of whom are top-tier, so that they are able to place them in various roles over a period of time. While a recruiter’s placement fee may sometimes seem steep, companies who are hesitant about paying must consider the cost of hiring an unqualified or poor worker. The cost of making a bad hire is immense, with 41% of companies saying a bad hire in the last year has cost them at least $25,000 and 25% of companies saying a bad hire in the last year has cost them at least $50,000. Recruiters provide an extra level of vetting, allowing employers to find the absolute best candidates possible for each position. So companies need to weigh how much they'll be spending by not using a recruiter. In the end, a job board will yield a large amount of resumes, but the quality is unpredictable. Recruiters may cost a fair amount up front, but in the long run, they will be well worth it. Ultimately, recruiter myths will only be disproven the public gains a deeper understanding of the recruiting industry. Once that occurs, maybe more people will realize that their services are worth enlisting, rather than eschewing them for talent acquisition methods that have smaller up front price tags, but carry longer tail costs.